American Crew Light Hold Styling Gel is a must have for hairstyles that need to be styled but also need some movement! This light hold gel by American Crew leaves hair in place but unlike some gels it does not flake, make the hair dull or give a fake appearance. It also washes out easily so you do not have to spend hours trying to get it out at the end of the day. 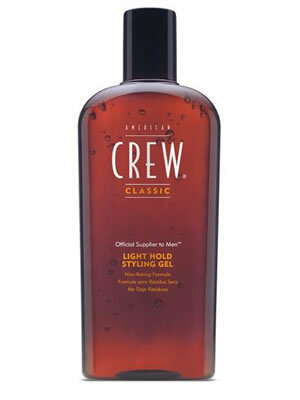 American Crew Styling Gel is also alcohol-free to provide the best styling care for your hair.